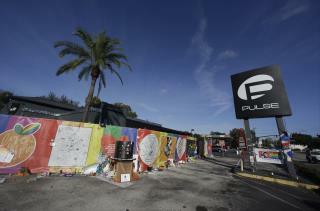 (Newser) – The widow of Pulse nightclub gunman Omar Mateen has been found not guilty of charges that she helped him plan the 2016 massacre that left 49 dead. Noor Salman had been charged with obstruction and providing material support to a terrorist organization, and she faced life in prison if convicted. The jury, however, cleared her on all charges, per the AP. Jurors deliberated over three days before reaching their verdict, asking several questions about the charges and closely examining the statement she made to the FBI in the hours after the attack. Love how the Muslim faith gets people a free pass in America now too. Prosecutors presented text messages asking "Where are you?" and "You have to work in the morning." as evidence she was an an accomplice. So she was too dumb to know what he was planning I guess? ?